Fall never looked this pretty! 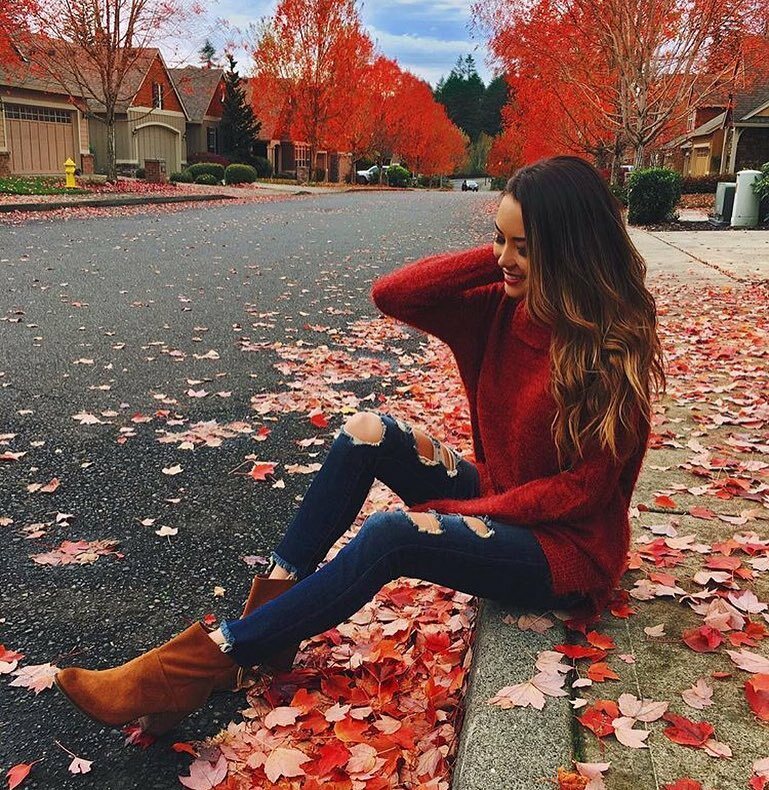 If you do want to keep things casual and simple, go for this cherry red sweater and team it with ripped dark blue skinny jeans and suede ankle boots. An ideal combo for long distance walks.